(Family Features) An estimated 50-70 million adults in the U.S. suffer from sleep disturbances, leaving many searching for natural, cost-effective solutions to improve sleep quality. “Getting proper sleep has never been more important – inadequate sleep is considered a risk factor for obesity, heart disease and other chronic diseases,” said Dr. Carol Ash, Director of Sleep Medicine for Meridian Health in New Jersey. Americans’ ongoing sleep problems have caused an uptick in the use of sleep aids, although Ash recommends starting with your fridge rather than the medicine cabinet. Go red before bed: Change your bedtime ritual by adding tart cherries to your routine. Get started by drinking a glass of tart cherry juice in the evening before you go to bed for seven consecutive days. Be anti-social: The screens from gadgets can emit blue light that suppresses the sleep hormone melatonin causing alertness, so forget about social media before bed. Keep the room quiet, dark and cool, creating a calm sanctuary. Hit the gym: Decompress from stress with exercise. Exercise anytime is good for improving sleep patterns. Set your internal alarm: Keep the same bedtime and wake-up time every day, which helps to set your biological clock that controls rhythms for wake and sleep. Available year-round in dried, juice and frozen forms, tart cherries are an easy and flavorful addition to your daily diet. 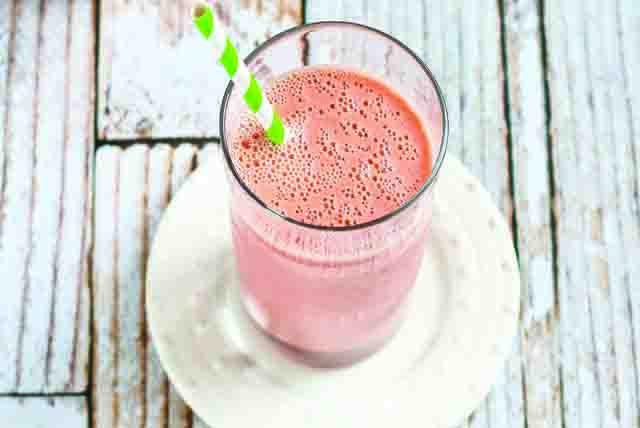 Try this delicious Tart Cherry and Mango Smoothie. 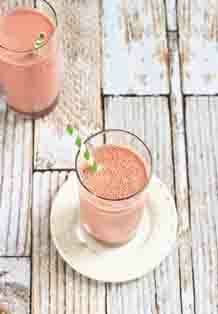 Place tart cherry juice, frozen mango chunks, Greek yogurt and agave nectar in heavy-duty blender. Puree until smooth. Pour into 2 glasses and serve.